Reading and share top 12 Mario Vazquez famous quotes and sayings. 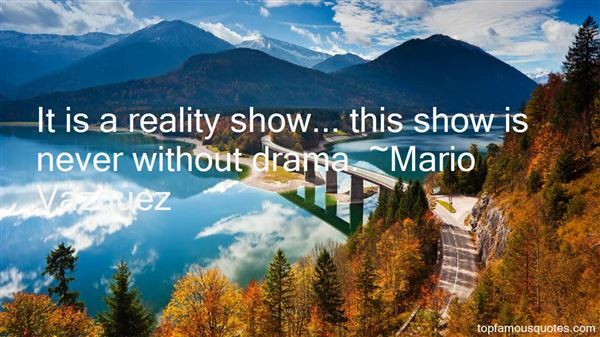 Browse top 12 most favorite famous quotes and sayings by Mario Vazquez. I always know exactly where my stories take place, which gives me something certain so I can use my imagination for the other stuff. I worry though, who wants to keep reading stories about Kalamazoo?" What Did Mario Vazquez Talk About?